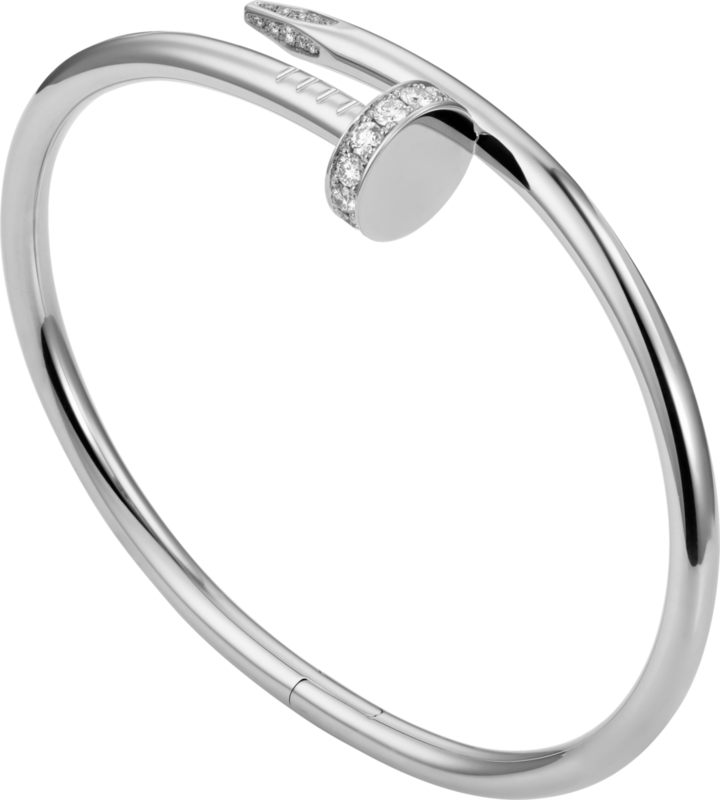 Juste un Clou bracelet, 18K yellow gold, set with 32 brilliant-cut diamonds totalling 0.59 carats. Panthère de Cartier watch, medium model, quartz movement. Case in steel, bezel set with brilliant-cut diamonds, dimensions: 27 mm x 37 mm, thickness: 6 mm, crown set with a synthetic blue spinel, silvered dial, blued-steel sword-shaped hands, steel bracelet, water-resistant to 3 bar (approx. 30 metres). 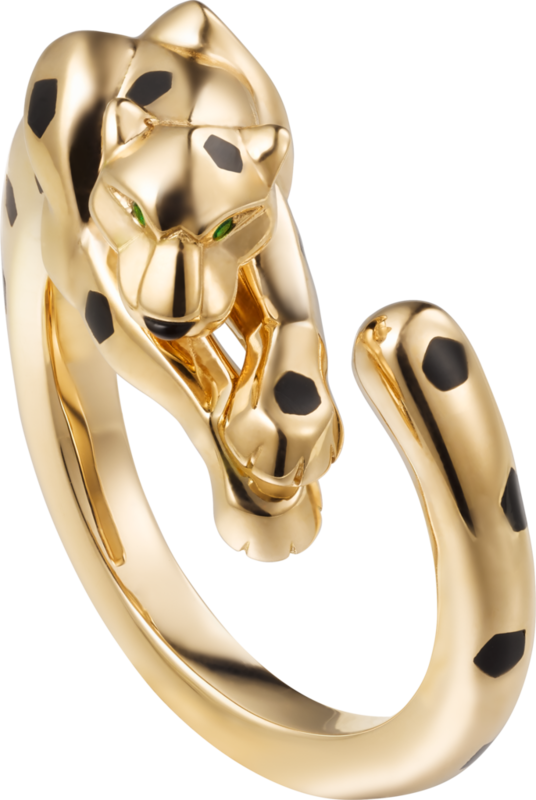 Panthère de Cartier ring, 18K yellow gold, onyx, black lacquer, set with 2 tsavorite garnets. Etincelle de Cartier earrings, 18K white gold, each set with 12 brilliant-cut diamonds totalling 0.45 carats.